An unidentified 4-year-old boy crawled past a barrier and fell into a gorilla enclosure on May 28 at the Cincinnati Zoo & Botanical Garden. 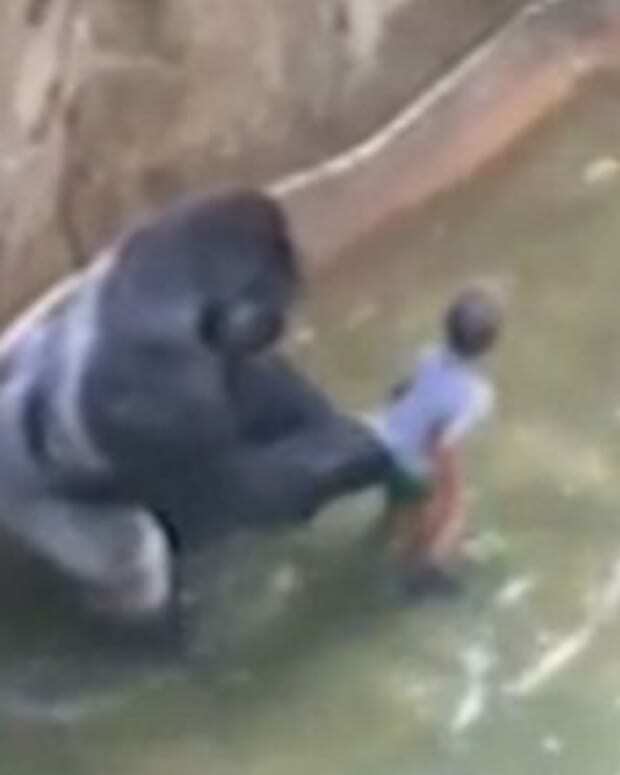 Witnesses filmed the gorilla, Harambe, who appeared to be playing with the small boy (video below). 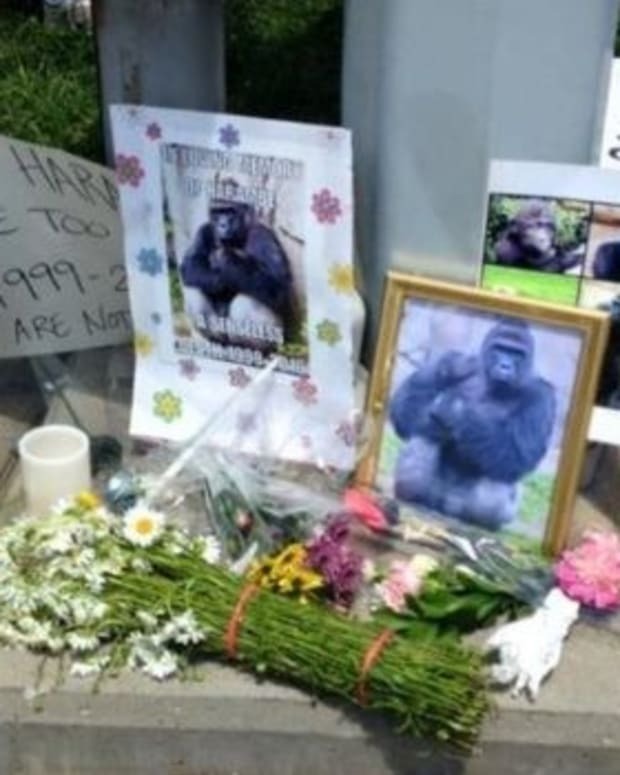 "The choice was made to put down, or shoot, Harambe, and so he&apos;s gone," Cincinnati Zoo President Thane Maynard told reporters, notes the Cincinnati Enquirer. After the gorilla was killed, zoo employees unlocked the enclosure and firefighters got the boy out. "The team did a good job," Maynard said. "And they made a tough choice and they made the right choice because they saved that little boy&apos;s life. It could have been very bad." The boy was reportedly taken to a local hospital. 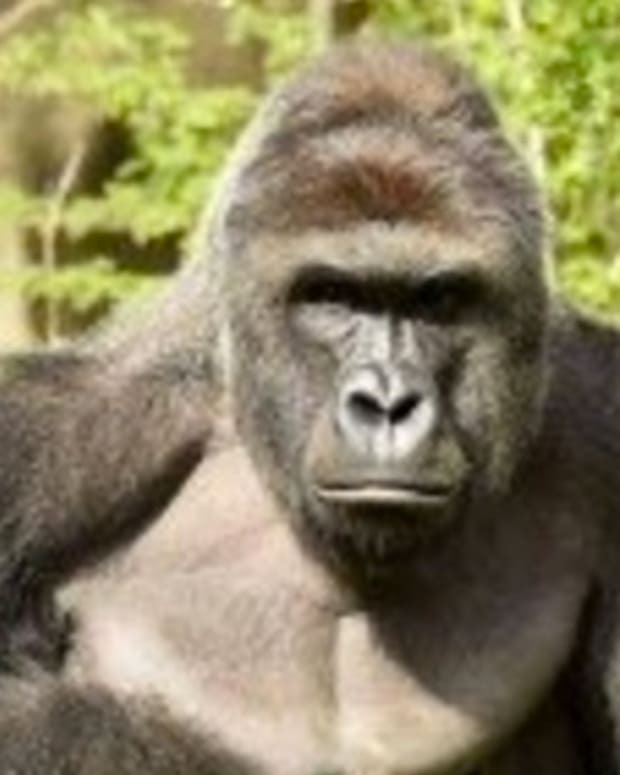 One question raised by a reporter was why the gorilla was not tranquilized. 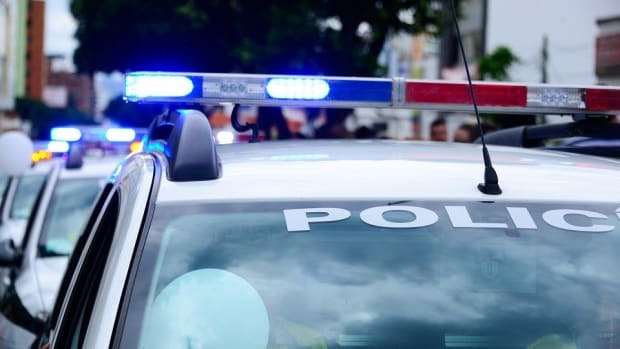 "The reason that tranquilizing was not chosen is an agitated situation, which the male was, it may take quite a while for a tranquilizer to take effect," Maynard said. 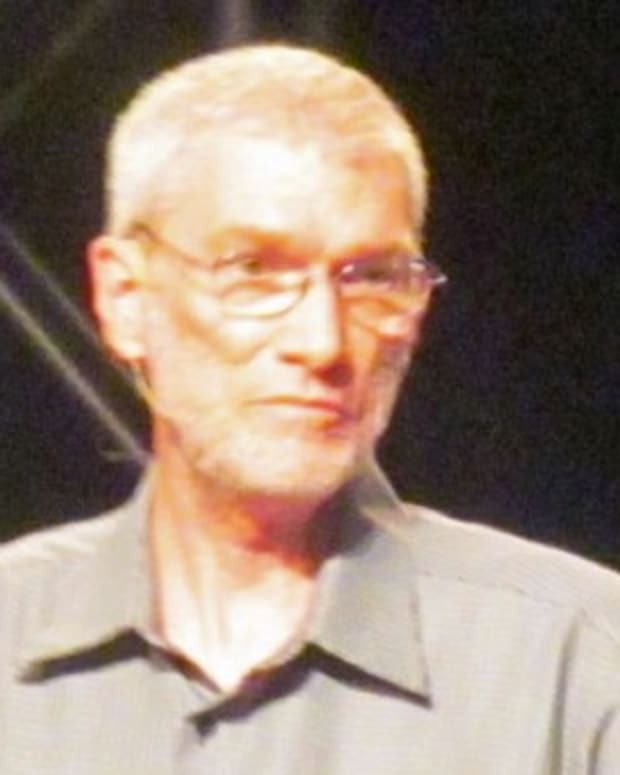 "But certainly the instant he would be hit, he would have a dramatic response. You don&apos;t hit him and he falls over, it would take a few minutes so that was eliminated as a best option." 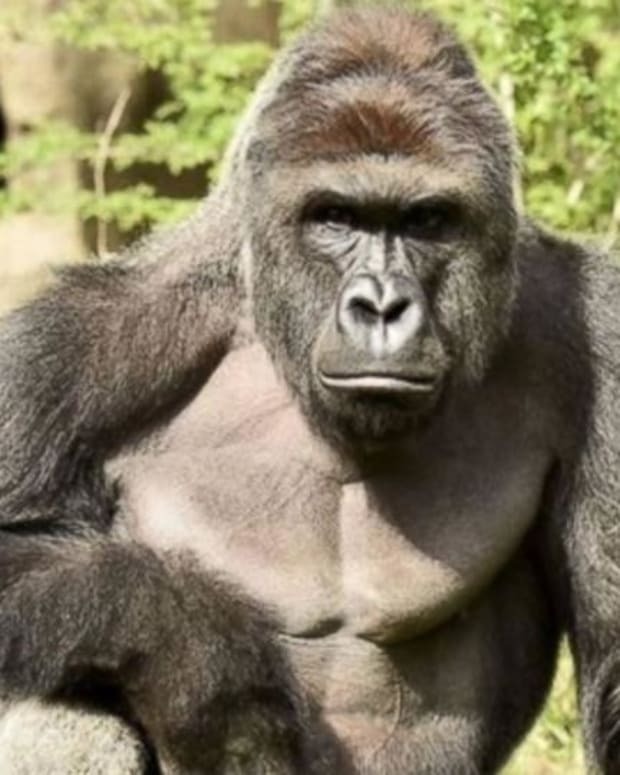 Maynard added that the child was not under attack from the gorilla, but "all sorts of things could happened in a situation like that, so he certainly was at risk." 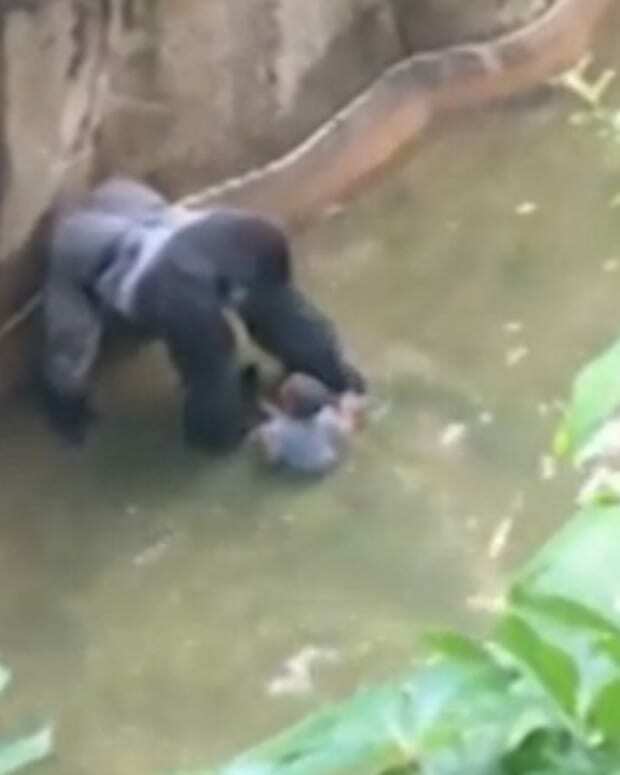 A bystander, Brittany Nicely, told the Cincinnati Enquirer that the gorilla seemed to be protective when the boy fell into the enclosure and led him through the water moat, which seems to be backed up by videos of the incident. Bystanders were removed from the area by zoo staff, apparently in preparation of the gorilla&apos;s execution. "About four or five minutes later we heard the gunshot," Nicely recalled. "We were pretty distraught. All the kids were crying." Videos of the incident were posted online the same day, prompting people to criticize the parents of the boy and the zoo. 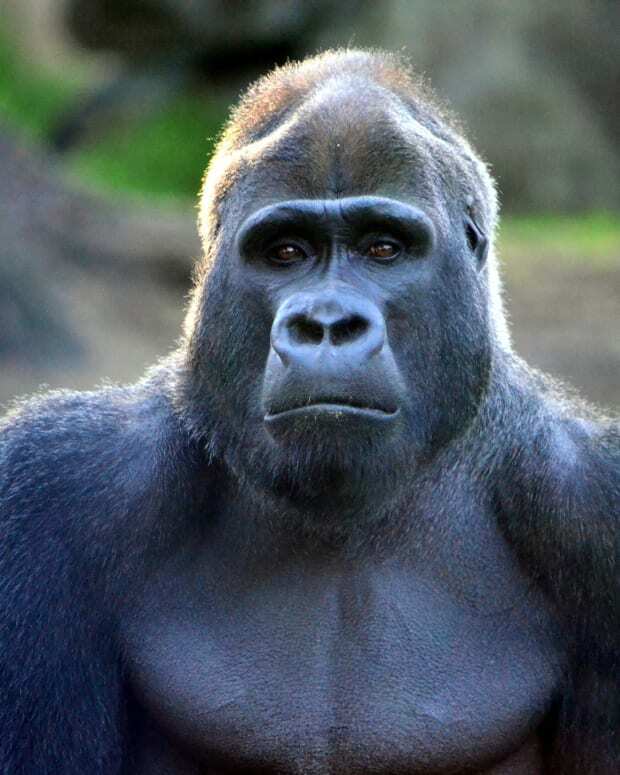 "Due to a toddler (unharmed) falling into the &apos;enclosure&apos; of precious Harambe, the Silverback Gorilla, an endangered species, and the staff at the Cincinnati Zoo murdering him: TELL THE USDA TO END THE CRUEL AND INHUMANE SPECTACLE THAT IS A &apos;ZOO&apos; - have we not evolved to the point that a &apos;zoo&apos; is obviously not the answer for wildlife that must, for some reason, be incarcerated. We do not have to GAWK AT INCARCERATED WILD ANIMALS that clearly do not belong in these &apos;enclosures&apos; as they are euphemistically called." 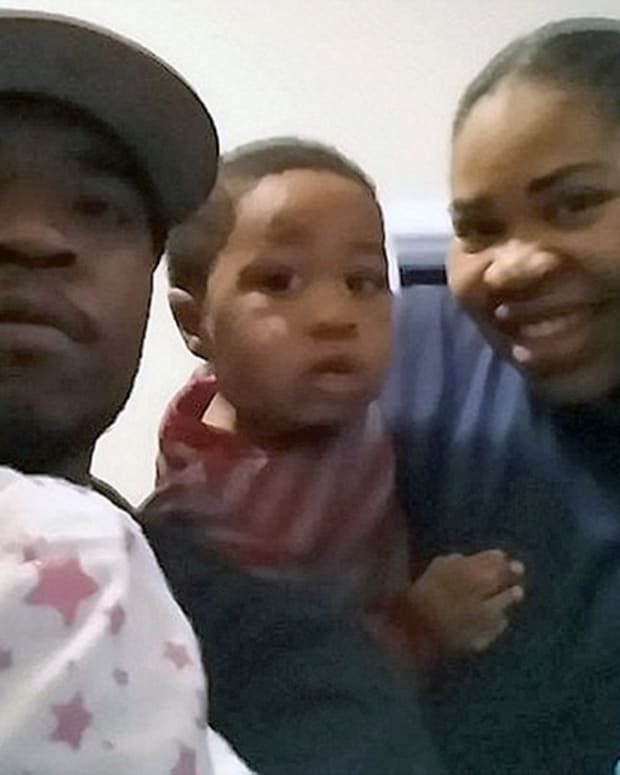 The parents of the boy will not be charged, according to Cincinnati Police Department spokesman Lt. Steve Saunders. Philip Jones, a journalist with Mic.com, tweeted a screenshot of a Facebook post written by Michelle Gregg, believed to be (but not confirmed) the boy&apos;s mother: "My son is safe and was able to walk away with a concussion and a few scrapes... no broken bones or internal injuries. As a society we are quick to judge how a parent could take their eyes off their child and if anyone knows me I keep a tight watch on my kids. Accidents happen but I am thankful that the right people were in the right place today." The animal that was killed was a Western lowland gorilla, which is a critically endangered species, according to the World Wildlife Foundation.